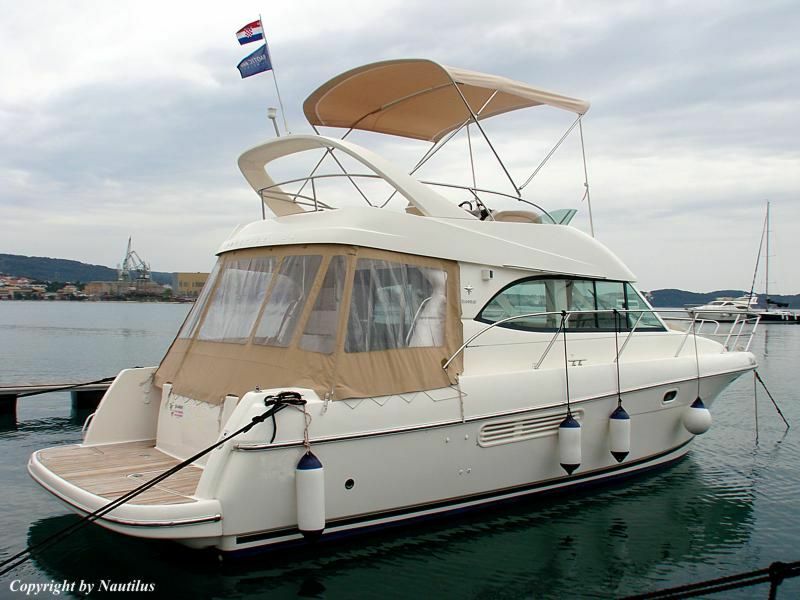 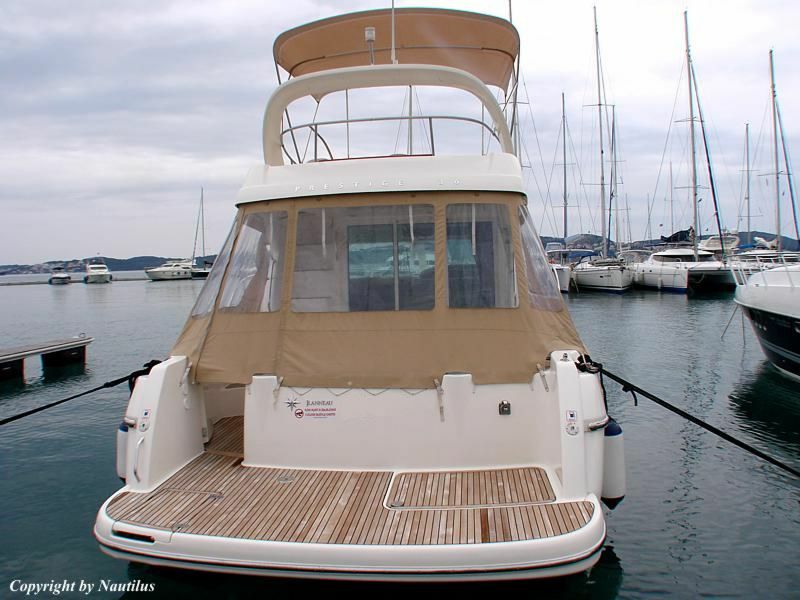 Nautilus Yachting is offering the motor yacht Jeanneau Prestige 36 for bareboat and skippered charters in Croatia, through our charter base in Trogir. 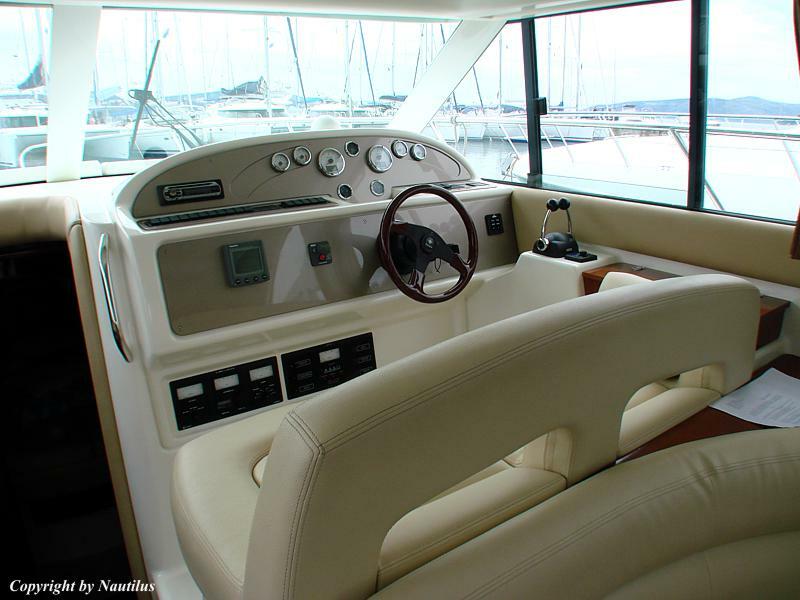 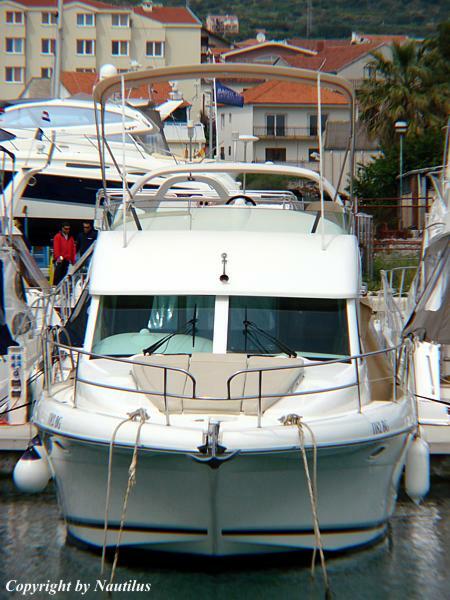 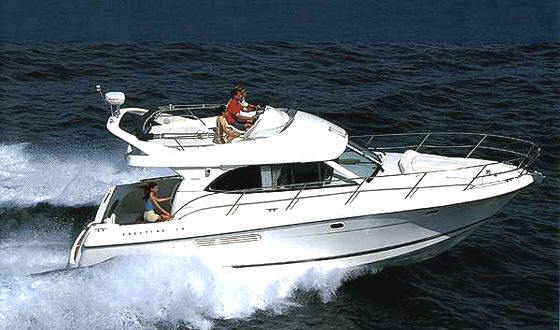 It was with the Prestige 36 that Jeanneau first entered the flybridge cruiser market. 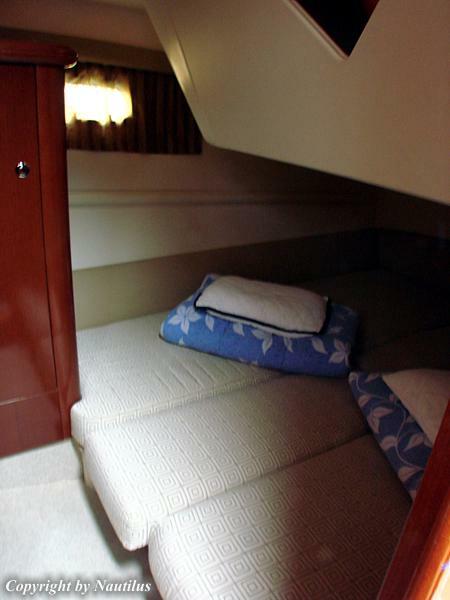 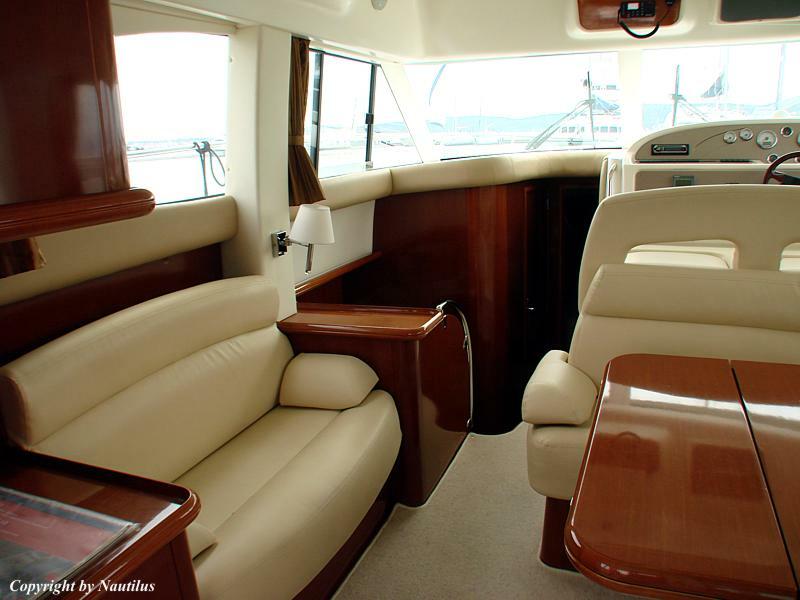 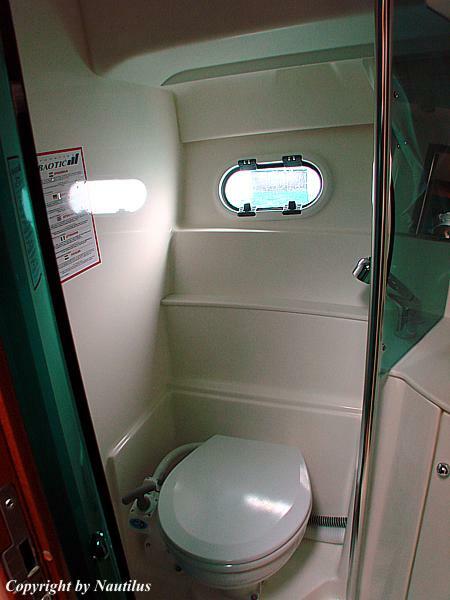 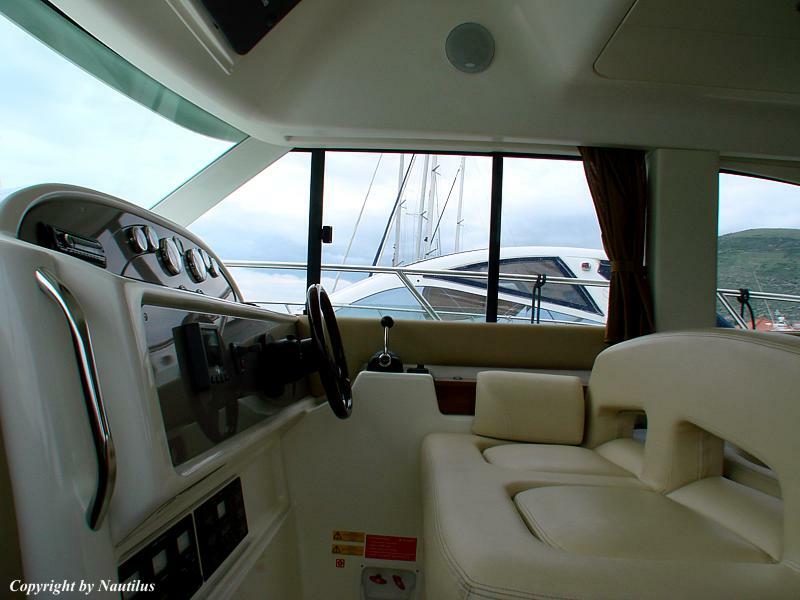 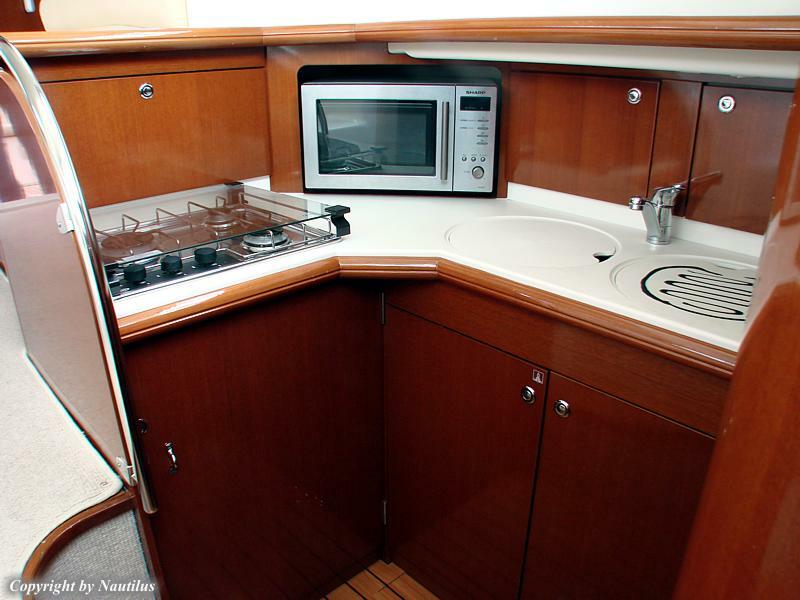 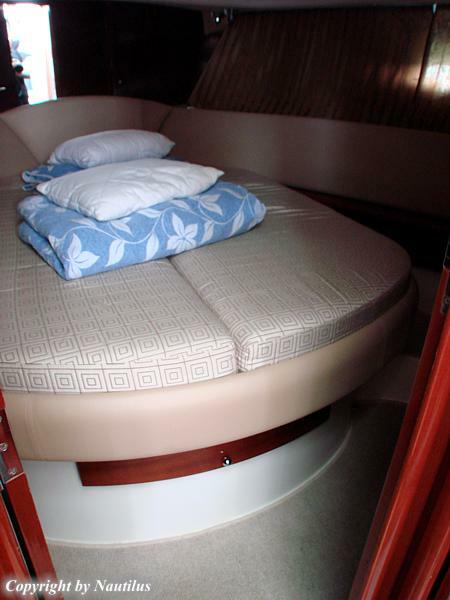 An interior layout designed for comfortable cruising, large stern platform, spacious cockpit and a well laid out flybridge are just a few of the key features that made this boat so popular. 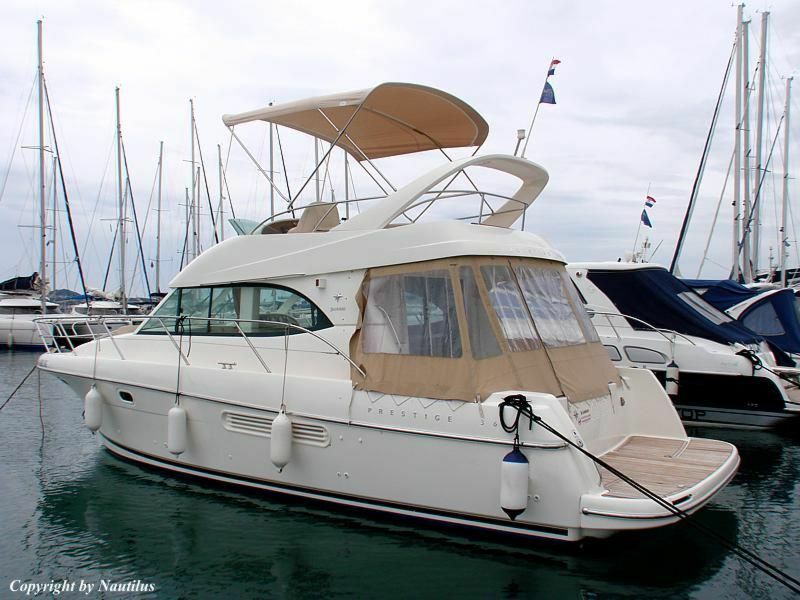 This proven flybridge cruiser offers good accommodation for 6 in two cabins plus saloon as well as plenty of space for day visitors. 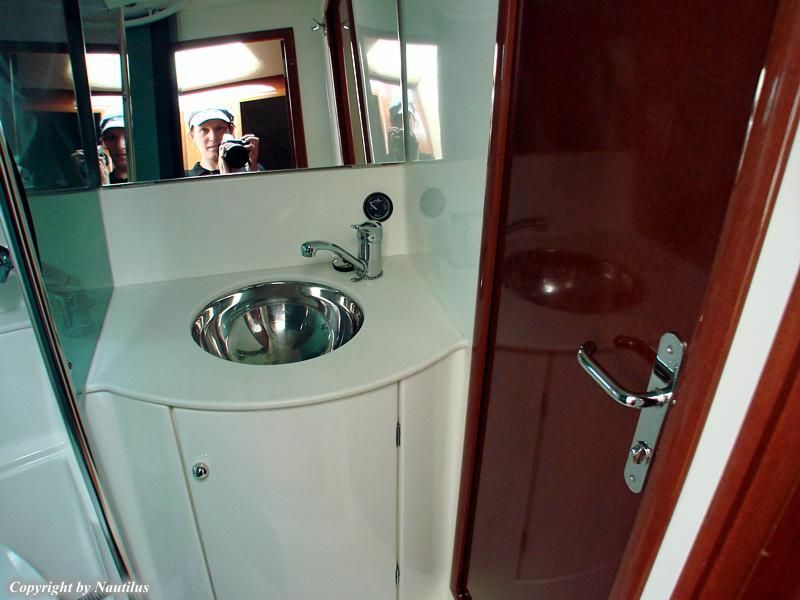 Prestige 36 was designed by Italian Garroni & Musio Sale designers along with Jeanneau experience, tradition and savoir-faire (know-how). 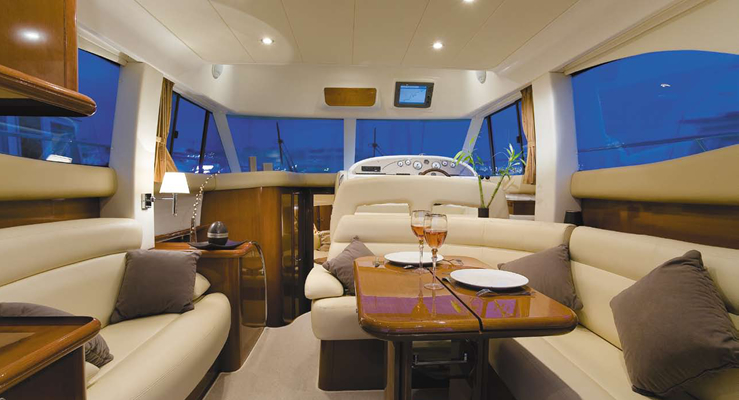 The beautiful interior finish work, the fine blend of beige leather upholstery, soft furnishings, the makore wood interior and the use of quality fabrics positions the Prestige 36 in the market of luxury motor yachts. 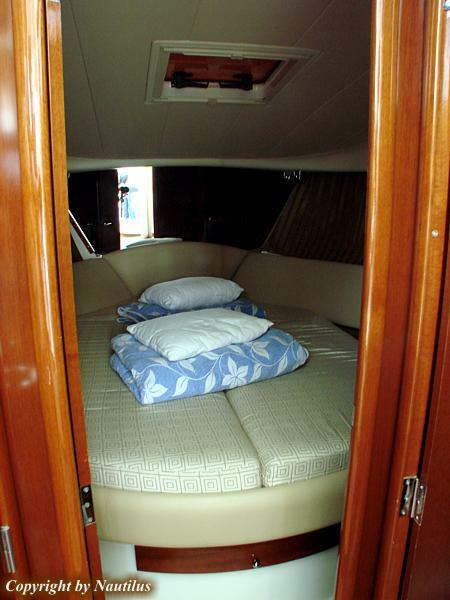 The choice of materials - the wood as well as the sophisticated fabrics – is particularly appreciable in the comfortable and very well-lit saloon. 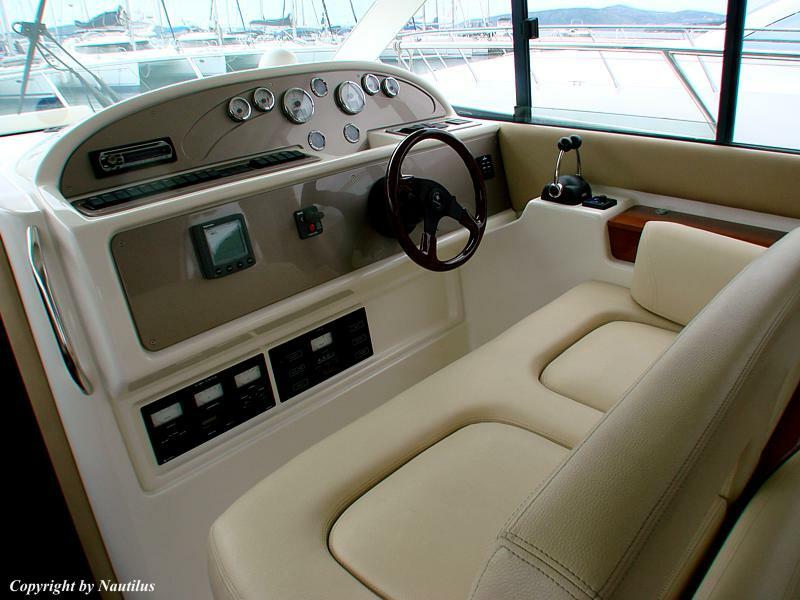 With the charm and warmth of the makore wood interior, the saloon is balance between modern and traditional design. 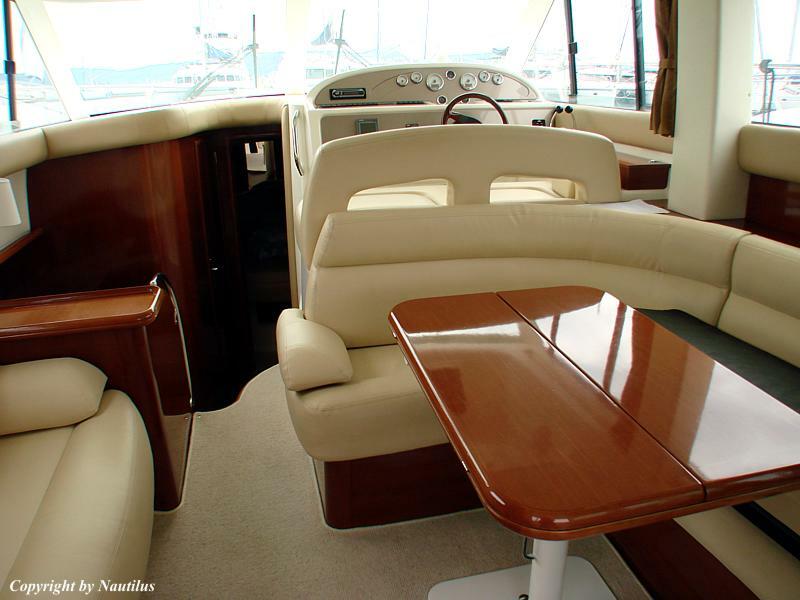 Two wide bench seats that circle around the table make saloon perfect for dining or just relaxing. 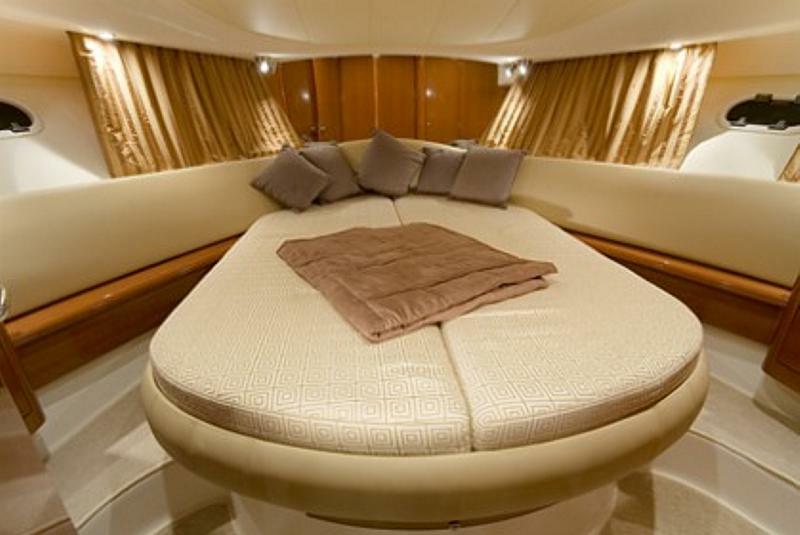 Click picture to open Prestige36 layout page.